London: Hold your breath! 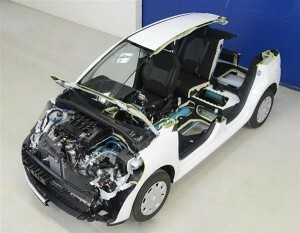 French car maker Peugeot is all set to sell the first air-powered hybrid car from next year. With new ‘Hybrid Air’ engine system – the first to combine petrol with compressed air – the firm says the car could reduce petrol bills by 80 per cent when driven in cities. “Air power would be used solely for city driving, automatically activated below 43mph,” said Peugeot in a press release. he system combines a gasoline engine with an air engine which is used at speeds under 70mph. This enables it to run on petrol or air, or a combination of both. According to the company, by 2020, the car could achieve an average of 117 miles a gallon. 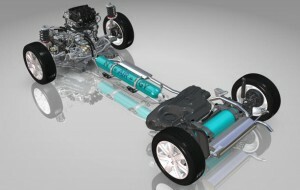 The new engine system is a breakthrough for hybrid cars because expensive batteries would no longer be needed. Cars fitted with Hybrid Air system would be cheaper to buy than current hybrid models. Drivers never run the risk of running out of compressed air because the car would have a sophisticated device that ensures it replenishes itself automatically, added Peugeot.